We were going to try to go to Roaring Springs but it's about $120 with admission and snacks. We went to the river instead. 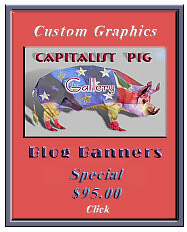 Click to order your Banner from Pete. I've been offered a free firearms training course at Front Sight in exchange for posting these links. Since I've already taken one of their excellent courses, I jumped at the chance to get a free one.